Emily and Molly – receiving the Rosary and Staff! Dear shipmates, courageously sailing with Our Lady out into the deep upon the digital sea! Mary TV aired the youth festival LIVE to 130 countries! There were over 5 million requests on Mary TV’s website/server alone! The light is getting out! Your prayers, our team’s hard work, your donations – it was all of us coming together that gave this gift to Our Lady for her birthday! There were many gifts given to Our Lady this past week. For instance, Mary TV was able to procure cameras and technical equipment for the parish, and send the equipment to Medjugorje with two beautiful young women who were traveling to the festival. 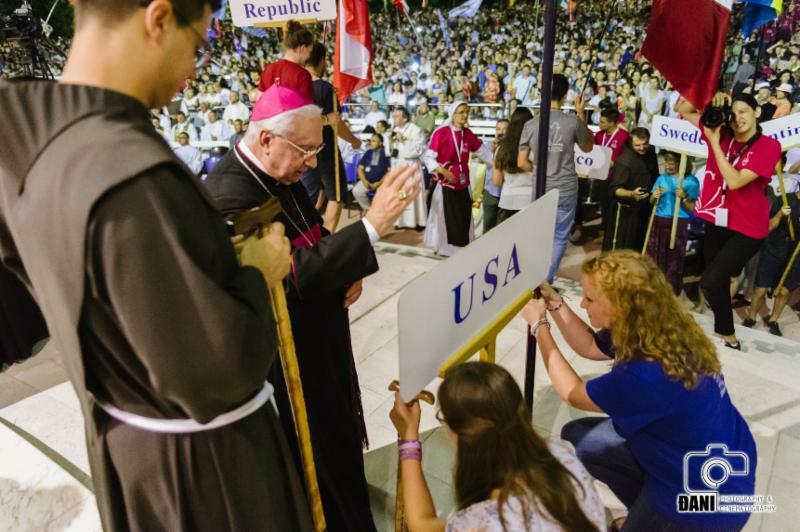 You can see Emily and Molly (in the photo above) representing the USA on the final night of the Festival, being commissioned to carry back home the light and truth they had received in Medjugorje. (They are being blessed by the Papal Nuncio and given the staff and a rosary for their journey.) They brought gifts and returned with gifts!! It’s thanks to your prayers and donations that we’re able to reach such large numbers of people all over the world- all being able to log on Live to Mary TV at the same time. We now have servers all over the world. All of these technical advances increase our costs. Keep the donations coming. “Jesus is the one safe Teacher. Do not be late to enroll in His school. 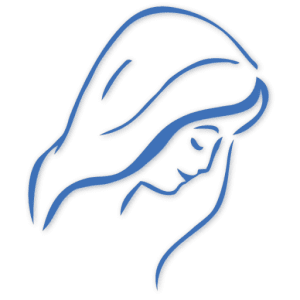 In the same school, you will find one other safe Teacher – Mary, the Mother of God, Mary, the Educator and the Queen of Peace! One such school is worth more than the finest world universities! With the doors of the Church opening so widely to the graces of Medjugorje the responsibilities of Our Lady’s Apostles increase! Let’s keep helping each other….